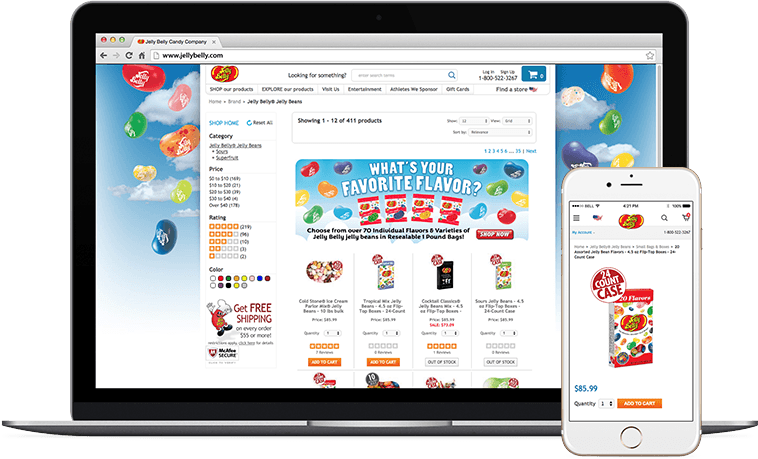 Jelly Belly graduates to Mozu’s cloud commerce platform and experiences unprecedented growth. Since 1869, Jelly Belly has made some of the world’s most popular and distinctive candies. Theirs is now a household name in the U.S., and synonymous with jelly beans. Like most forward-thinking, branded manufacturers, Jelly Belly saw the potential to reach consumers through engaging digital experiences that enhance the brand, showcase its delicious products, and—most importantly—encourage customers to indulge their sweet tooth through direct online transactions. "Migrating from our homegrown platform to Mozu has given Jelly Belly the power to drive growth much faster than we could on our own." Jelly Belly developed a homegrown eCommerce system with the goal of connecting consumers to retailers. As they grew, they discovered a need to launch multiple responsive sites that would scale with their growth and empower their eBusiness team to update merchandize, promotions and content—without the help of IT.And they wanted to do it fast. Mozu’s true multi-tenant SaaS platform immediately addressed IT’s concerns over the cost of onsite hosting and maintenance of their homegrown platform. Giving Jelly Belly regular feature updates freed up IT’s time to focus on innovation and gave them peace of mind that their sites are reliable and secure. 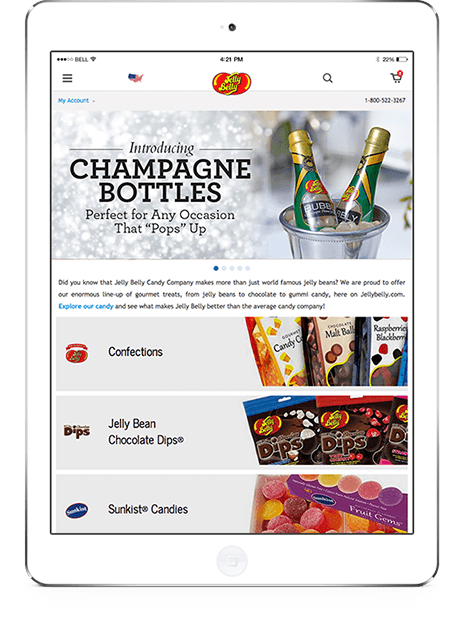 For the first time, Jelly Belly offers a natively responsive mobile shopping experience that simplifies and enhances purchasing across devices. 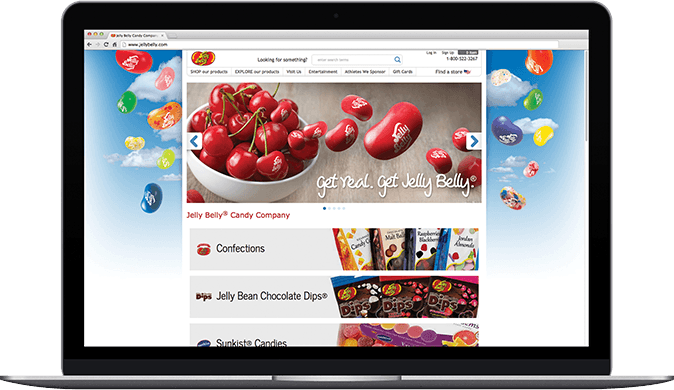 Jelly Belly’s eBusiness team now quickly launches multiple sites from one account, on a single catalog, allowing business users to manage their own portions of the sites and make routine updates to products, promotions and content. This has been a huge advantage for Jelly Belly as they cultivate channel-specific pricing and segmented promotions.